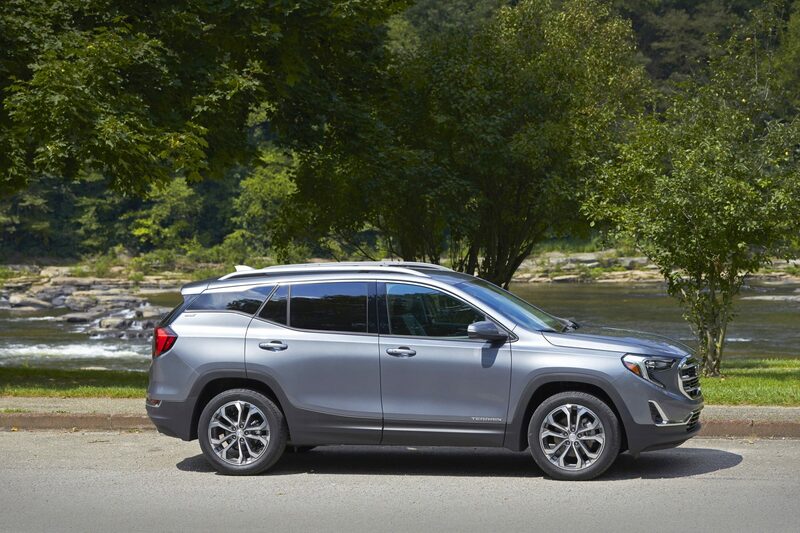 The 2019 GMC Terrain has excellent driveability and comfort as well as good family ergonomics for daily use. It’s a premium two-row crossover-SUV that aims towards providing value and versatility in a smaller package. An all-new Terrain was introduced last year and the 2019 model carries forward with those upgrades. 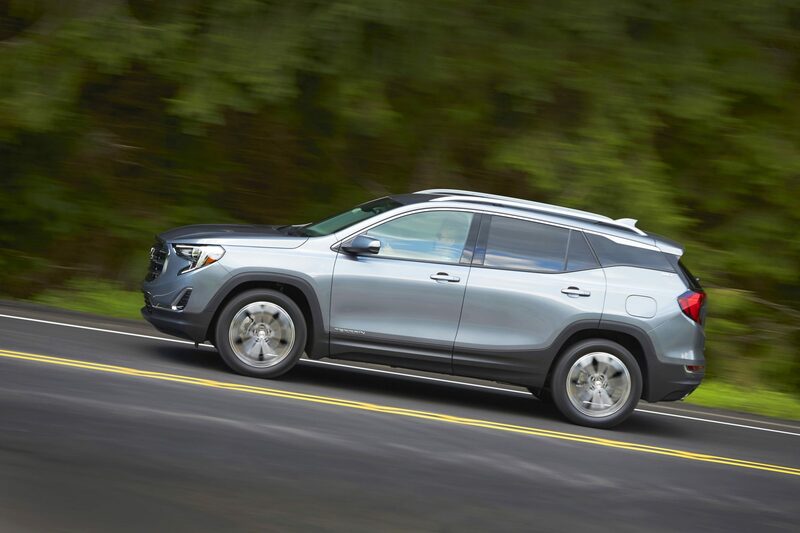 The 2019 GMC Terrain is a bit more upscale than your average base model offering in the small crossover segment. The GMC name implies more interior refinement than the norm without getting into luxury price tags. This GMC hits that mark very well. 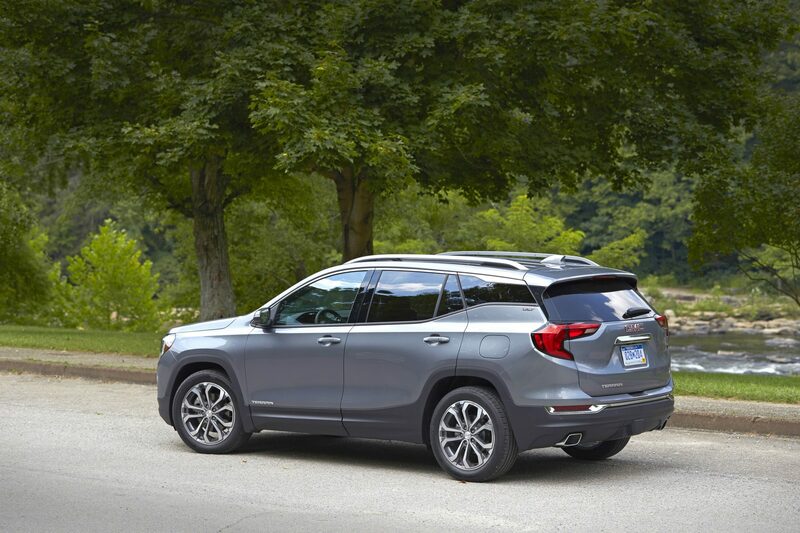 The 2019 Terrain competes in a well-rounded market of smart-sized, five-seat crossover sport utilities and does well. Something few others offer in this market, for example, are multiple engine choices alongside its trim level options. 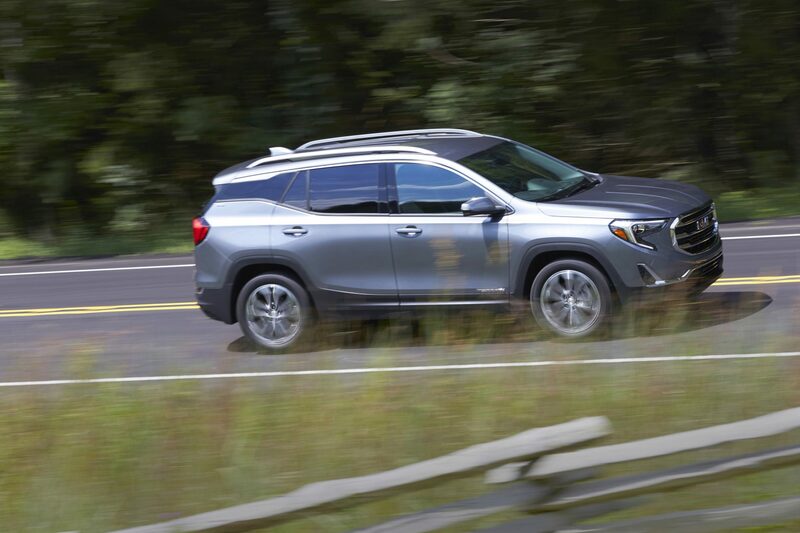 There are four trim points for the 2019 GMC Terrain, each with front-wheel drive as standard and all-wheel drive as an option. Engine options depend upon trim level. SL – Available with the 1.5-liter turbo only, this trim point is the base level for the Terrain. 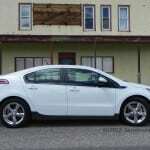 It comes standard with 17-inch alloy wheels, automatic headlamps, heated side mirrors, keyless ignition/entry, a rearview camera, a leather-wrapped steering wheel, four USB ports, two 110V outlets, a 7-inch touchscreen with Apple CarPlay and Android Auto, and GM’s Teen Driver and OnStar safety systems. Optional is a towing kit for the Terrain SL, but not other options are available. The SL is intended largely for fleet buyers. SLE – Exactly the same as the base SL, the SLE adds an auto-dimming rearview mirror, some interior trim upgrades, and more options for adding onto the Terrain. A Driver Convenience package adds more seat adjustments, dual-zone climate control, roof rails, and remote start. 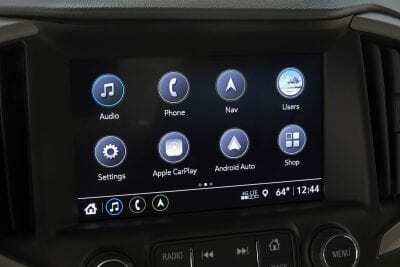 An Infotainment package adds an 8-inch touchscreen, navigation, an enhanced rearview camera with better view, a color gauge cluster display, two more USB ports, and another 110V outlet. A Driver Alert package adds rear parking sensors, blind-spot monitoring, rear cross-traffic alerts, and the GM Safetly Alert seat that vibrates the driver’s seat in response to warnings. 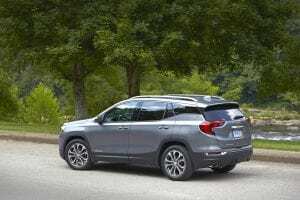 Also optional for the 2019 Terrain SLE are a panoramic sunroof and a towing kit. 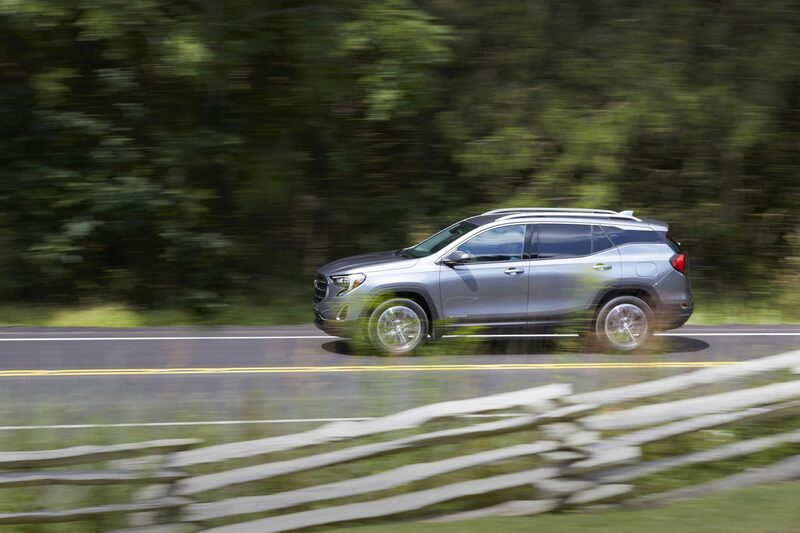 Driver Alert I and II, which add low-speed forward collision warning with pedestrian detection and automatic emergency braking plus lane departure warning and lane keeping assist. Automatic high beams and adaptive cruise control are also added. The Infotainment II package adds navigation and a Bose sound system to the Terrain. The Preferred package adds a hands-free, programmable liftgate, driver seat memory settings, and power adjustments for the front passenger’s seat. Plus a heated steering wheel. The 1.5L engine is standard, as is front-wheel drive. 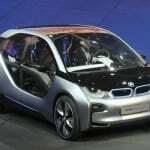 Optional is a 2.0-liter turbocharged engine or a 1.6-liter turbocharged diesel engine, both of which can also be upgraded with all-wheel drive. Denali – This package comes standard with the 2.0-liter turbocharged four-cylinder engine with no other engine options available. All of the optional equipment from the SLT are standard on the Denali package except the panoramic sunroof, which is still optional on the Denali, and the Driver Alert II package, which is also optional here. Also available is the Comfort package, which adds ventilated front seating and heated rear seating plus a wireless phone charging pad. An Advanced Safety package adds a surround-view (360-degree) camera system and semi-automated parking. The 2019 GMC Terrain is one of the better looking crossovers in its segment, with a robust, well-proportioned look that really works well. It’s got a touch of sportiness with the slightly learning rear pillar and not-quite-flat roofline while its front grille and squared edges make it look strong and ready. Inside, the Terrain is upscale and appealing, as should be expected of a GMC product. It’s sophisticated enough to be relevant without being overly tech-focused. 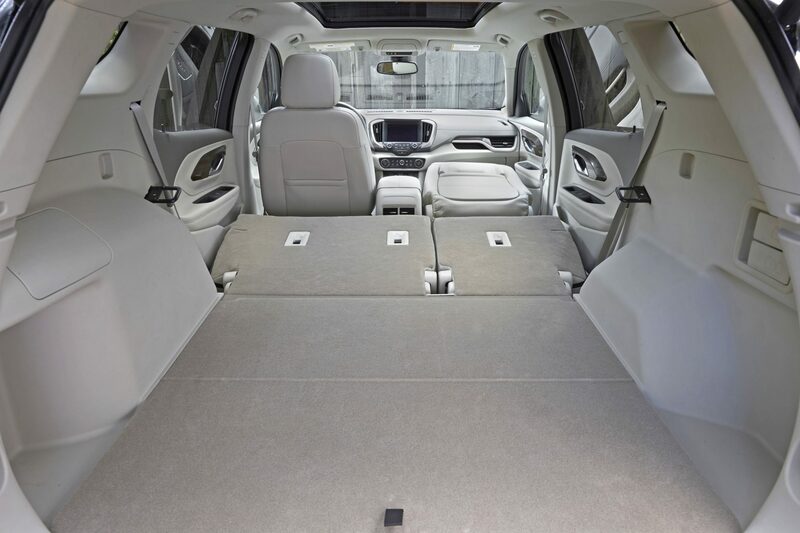 Roomy seating is a mark of goodness in the 2019 Terrain, with good leg and headroom throughout the cabin. The back seat’s outboard positions are good for adults of all sizes and offer easy access to child safety seat anchors for parents. Cargo space is not as large as in some competitors, but is a useful 29.6 cubic feet with the rear seats in use. 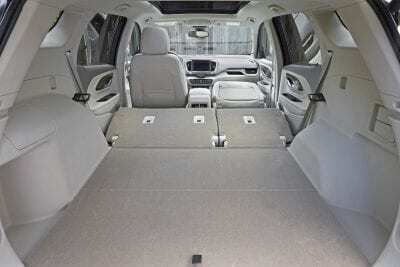 Dropping those seats, which fold flat, expands cargo to 63.3 cubic feet. For longer items, the front passenger’s seat also folds flat, offering room for long items on those home improvement trips or runs to the beach. 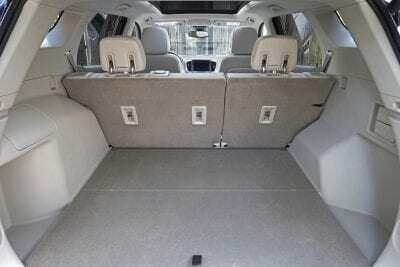 That’s unusually useful and makes the Terrain larger than it is when it comes to versatility. Interior touches like extra gadget storage, including the extra shelf on the passenger’s side dashboard, and a good-sized middle console storage bin are thoughtful too. We’re also fans of GMC’s new infotainment system and in the Terrain, especially with the larger touchscreen, it’s very easy to use. At all levels, infotainment in the GMC includes WiFi and plenty of USB ports, but upgrading only adds to that connectivity with more plugs and capabilities. IntelliLink, GM’s infotainment, has great voice controls for hands-free use too. The base model GMC Terrain comes with a 1.5-liter four-cylinder engine that outputs 170 horsepower into a nine-speed automatic transmission with front-wheel drive. This isn’t a confident engine, but it does offer decent fuel economy at 26 mpg in the city and 30 mpg on the highway. Our Denali trim level 2019 Terrain came with the 2.0-liter turbocharged four-cylinder, which is much more robust at 252 horses. The same nine-speed automatic runs either front- or all-wheel drive. 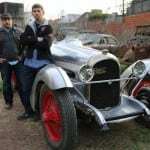 We had the latter and we liked the way the engine, transmission, and drivetrain came together with the chassis for a good drive with confidence. The EPA rates this engine at 22 mpg in teh city and 28 mpg on the highway. Our average was 24 mpg overall after a week’s worth of driving. Optional for the SLE and SLT trims of the 2019 GMC Terrain is a 1.6-liter turbodiesel engine that outputs 137 horsepower into a six-speed automatic transmission. 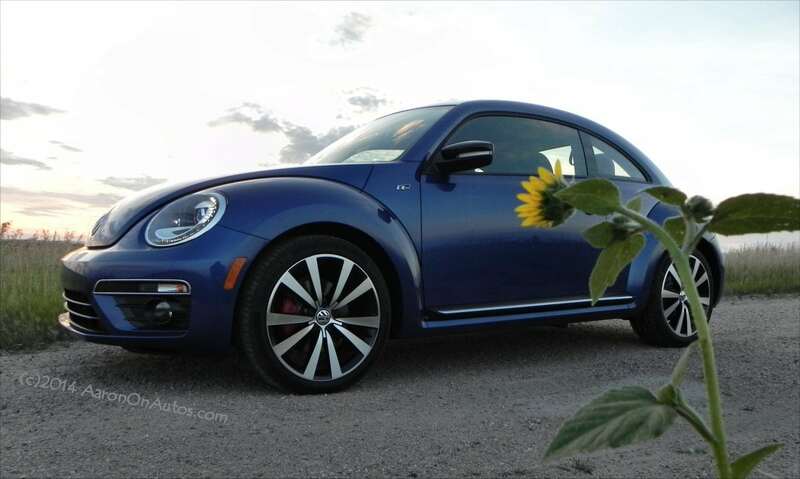 This offers more torque, though, and improves fuel economy to 28 mpg in the city and 39 mpg on the highway. 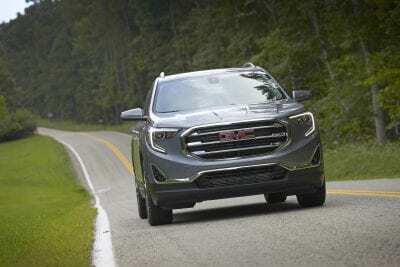 There are a lot of rivals for the 2019 GMC Terrain, at least on paper. In reality, because the GMC brand is more premium than others, apples-to-apples comparisons are not as ready. The Buick Envision is the most direct competitor to the Terrain, having largely the same everything with a different exterior look and some differences in interior trim. Cross-comparisons with the upper trims of the Toyota RAV4, Hyundai Tucson, and Ford Escape are also worth making. Excellent interior design and tech. Great engine choices to suite needs and expectations. Curb appeal is high with the Terrain. Under par cargo space with all seats up. 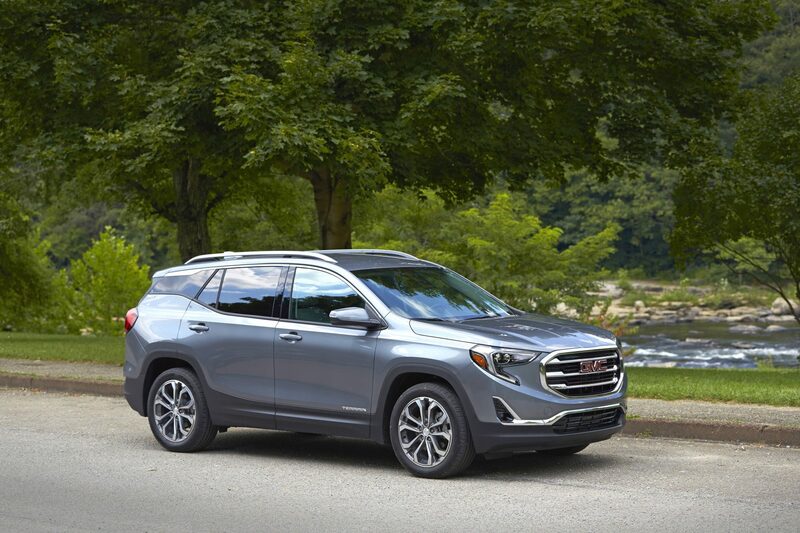 The 2019 GMC Terrain has lots of appeal on many levels. Its strong curb presence and good value when compared evenly with its rivals gives the Terrain a lot of clout for the buyer. This is a well-done crossover-SUV that’s worthy of attention. The 2019 GMC Terrain was a manufacturer’s press loan for about a week. 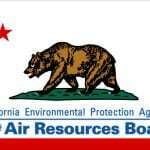 During that time, passenger and cargo loads varied, as did road conditions and length of trip. Our assessment here is based on everyday use of the vehicle.